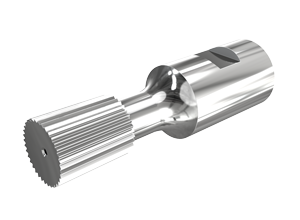 Polygon Solutions’ offers a wide variety of precision ground J500 Rotary Broaches that are available in standard and custom sizes. Designed for maximum tool life, Polygons’ J500 rotary broach sizes conform to the SAE Standards. Mating external J500 rotary broaches are also available from Polygon Solutions. To request a quote on a J500 Rotary Broach fill out our online quote form or call us at 239-628-4800. 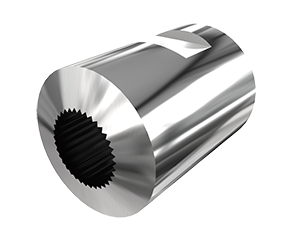 Polygon Solutions offers a wide range of Standard Internal and External J500 Rotary Broaches that are designed to be used individually or as mating parts. All sizes conform to the SAE Standard and are available for fast delivery. Nominal Size # of Teeth (B) Major Dia. These Internal J500 Rotary Broaches can be used with our 1/2″ Series GT Rotary Broach Tool Holder. These External J500 Rotary Broaches can be used with our External Series GT Rotary Broach Tool Holder.